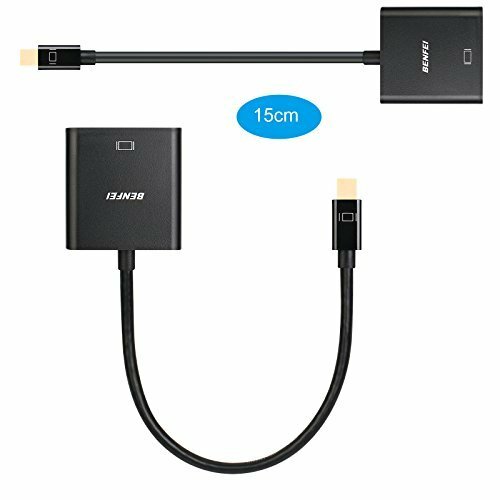 provides an easy and cost-effective solution for connecting a notebook or desktop PC with Mini DP to a DVI display such as monitor, projector, or TV. 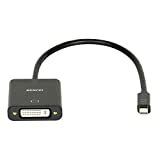 Simply connect the Mini DP male end of the converter into a Mini DP connector of notebook or desktop PC and the female end of the adapter to your DVI cable(not included) from the monitor, projector or displayer. This portable and mini converter is easy to take and plug and play. 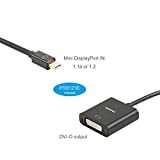 The Mini DisplayPort to DVI Adapter allows for a connection to DVI monitors and projectors supporting a maximum 1080P resolution. 1. This is NOT a bi-directional converter. It only transfers signal from Mini Displayport to DVI. Warranty:45 days money-back and 12-month, worry-free Guarantee!